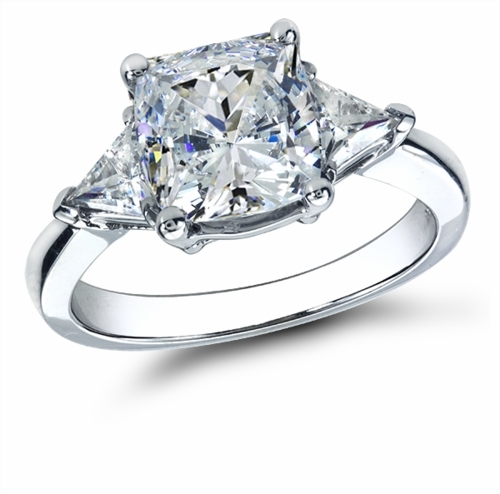 Our 2.5 Carat Cushion Cut with Trillions Cubic Zirconia Three Stone Ring features a cushion cut square shape that is flanked by a trillion or triangle shaped stone on each side. 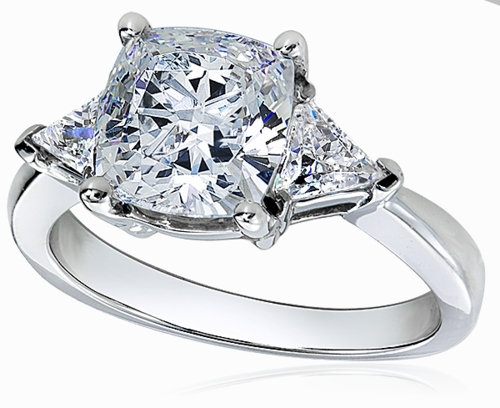 This ring features a 2.5 carat 8mm cushion cut square diamond look center stone with a .75 carat 6mm diamond look trillion set on each side. 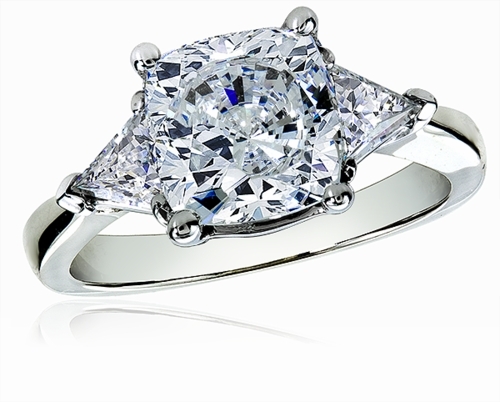 Our Russian formula cubic zirconia is hand cut and hand polished to exact diamond specifications and coupled with a solid 14k white gold mounting, provides you with a ring that will surpass your expectations. 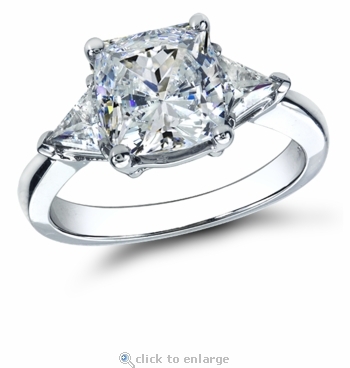 This three stone trillion engagement ring includes 4 carats in total carat weight. 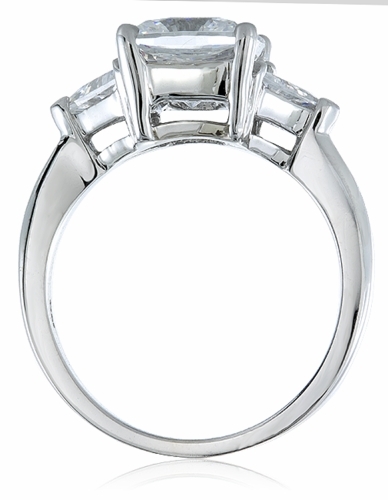 This engagement ring is also available on the regular part of the site, please see item R1010C25. For further assistance, please call us directly at 1-866-942-6663 or visit us via live chat and speak with a knowledgeable representative.